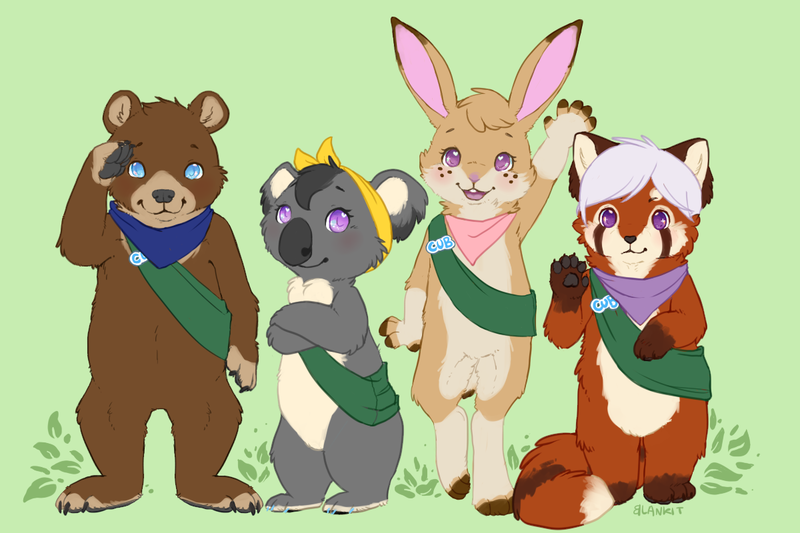 Gift commissioned by vikenwelopl for cubbruin, koalacrochet, wen, and kitkiama! Trying to draw four different animals with distinct personalities is definitely a new challenge for me! I really tried my best to capture their personalities based on the information on the reference sheets. I hope I did a good a job.